by attending our exclusive event. 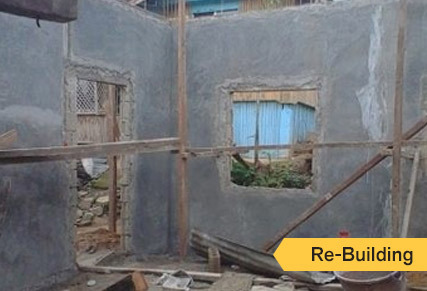 It has been 2 years since the Greg Secker Foundation helped rebuild houses in the Philippines and now The Foundation is taking on the task of building 100 houses in the region. Book your place today to attend our Live Trading Day Experience and 100% of your ticket price will be donated to aid the cause! Typhoon Haiyan, one the deadliest typhoons recorded in modern history; struck South East Asia causing devastation across the region in particular the Philippines. 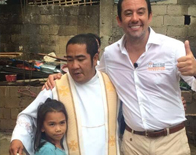 After hearing the news of the disaster Greg and The Foundation were involved in a rebuild project called ‘Build a House: Build a Home’ and were immensely proud to hand over the keys to the houses we’ve helped to build in the tiny village of Lemery, Philippines. However, our work here is not yet complete and we need your help! 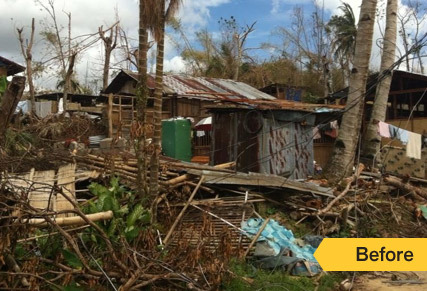 The Philippines is hit by frequent seismic activity and by around 20 typhoons a year, destroying lives, livelihood and homes. According to the country’s largest association of housing developers, the current housing backlog is estimated at four million units. 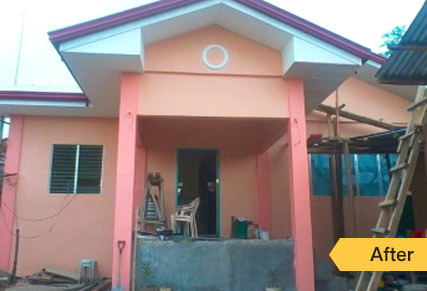 Greg and The Foundation now need your help to build 100 houses in the Philippines. The Foundation is partnering with Learn to Trade, Capital Index and SmartCharts to make our dream a reality. Learn to Trade will be hosting six events throughout July and August on each of our Trading Floor around the World (London, Johannesburg and Sydney). Learn to Trade will be donating 100% of the money raised from the ticket sales to attend the events. Our generous broker Capital Index will be giving all brokerage commissions to the Foundation also. It is a perfect example of a symbiotic relationship. The more our clients trade, the more money they earn themselves and the more commission they generate for charity. 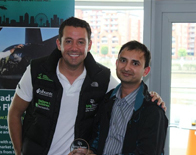 Learn to Trade is offering you the opportunity to be a part of our live 8-hour charity Live Trading Day Experience! The Event will allow you to watch live trading tips from a special line-up of our best traders with special guests to provide market insights in each region. The day promises to be a fantastic event, raising money for us to rebuild houses in the Philippines through the Greg Secker Foundation. As your host, Learn to Trade will provide drinks and refreshments as well as entertainment in session breaks. Register Now to be a part of a truly inspiring event as one small act of generosity on the part of one can transform the lives of hundred. The ones who are crazy enough to think they can change the world, are the ones that do! 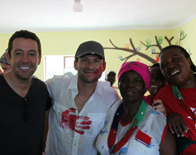 After making his success through trading the financial markets, Greg has always been involved in charitable work; in November 2010 Greg took this one step further and set up his own charity the Greg Secker Foundation. 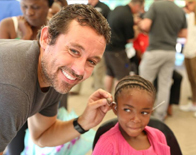 The Foundation is a not-for-profit organisation committed to positively improving the quality of life of children around the world.